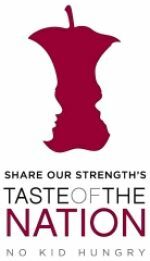 Join us Monday, May 13, for a free, special showing of A Place at the Table, a thoughtful documentary which takes a look at hunger in America. After the screening, stay for an important panel discussion with U.S. Rep. Rosa L. DeLauro and others. We ordered perfect weather for a Walk! 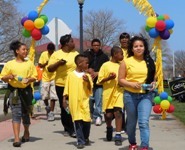 Sponsor a Walk Against Hunger team, or form one of your own for May 5 in New Haven or Norwich, or on May 19 in Waterbury. Don't forget to look for specially marked General Mills products and go online to enter codes printed on the packaging. For every code entered, five meals are secured for Connecticut Food Bank!